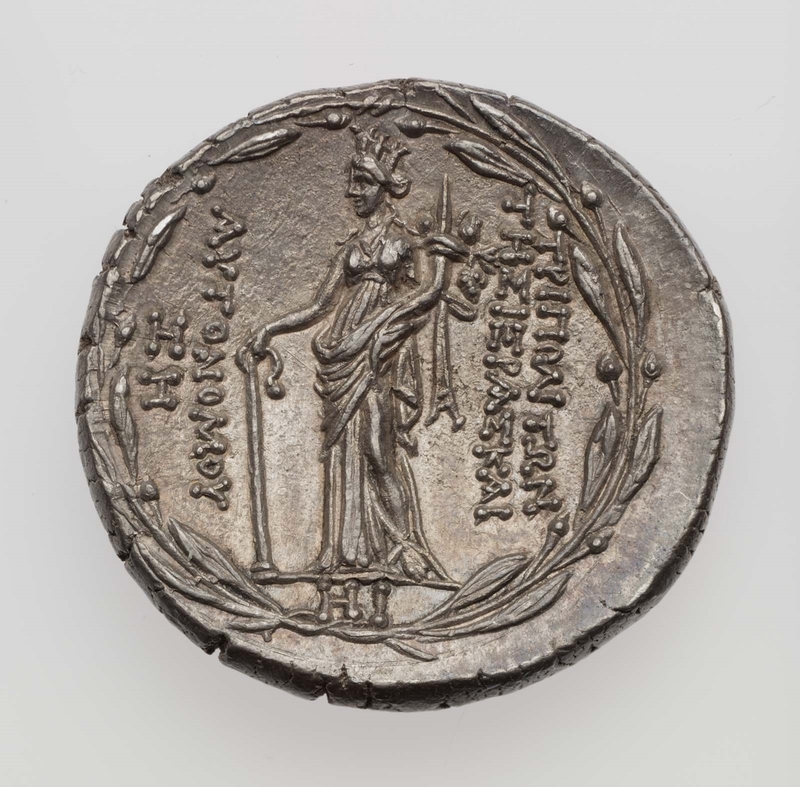 Brett, Greek Coins (MFA), no. 2201. Diameter: 29 mm. Weight: 15.08 gm. 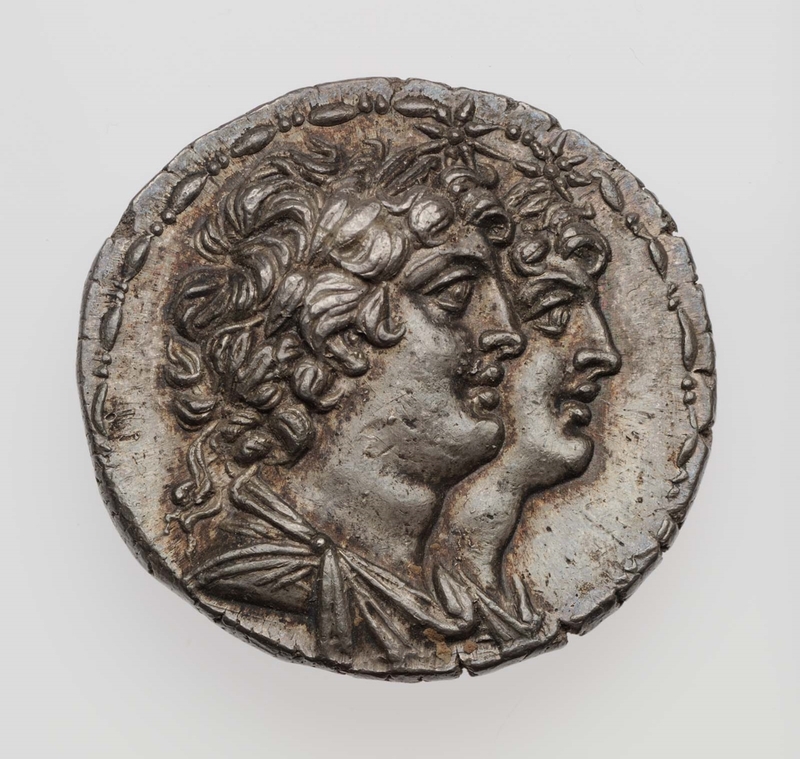 Obverse: Draped busts of the Dioskouroi, laureate, profile to right, surmounted by stars. Reverse: Tyche standing profile to left, her right hand holding a tiller and in her left a cornucopia. Inscriptions in Greek at left and right and in the exergue. The whole surrounded by a laurel wreath.